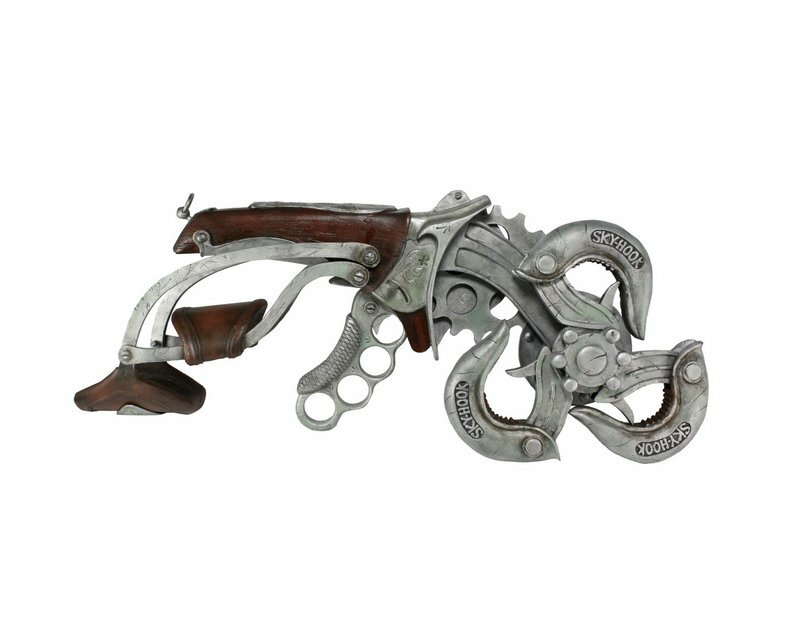 Official Reveal: BioShock Infinite Sky-Hook Replica is Available Now! You are here: NECAOnline.com » Blog » News And Announcements » Official Reveal: BioShock Infinite Sky-Hook Replica is Available Now! BioShock Infinite is due in stores March 26, 2013! 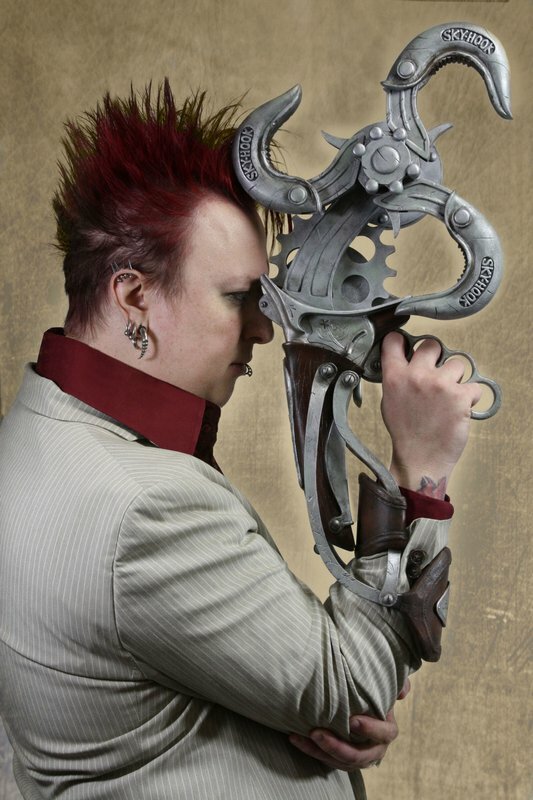 Don’t miss our new Sky-Hook replica! Can you imagine how much easier life would be with a Sky-Hook? 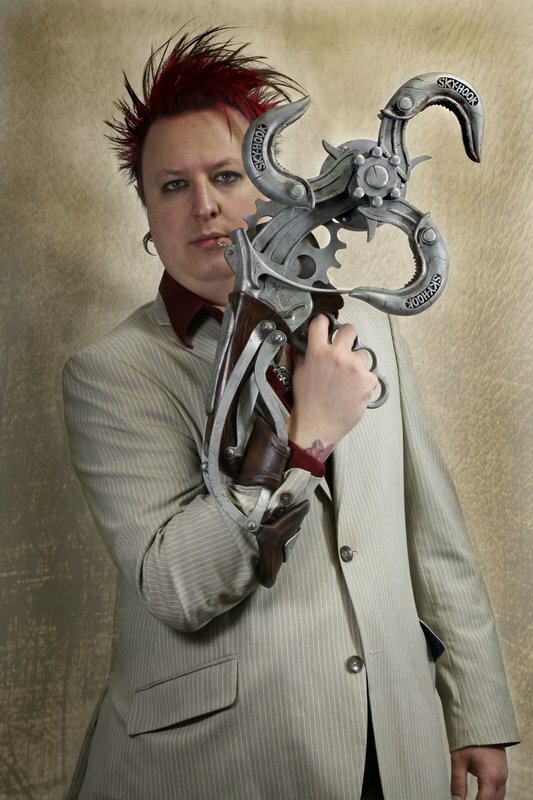 Need a beverage — Sky-Hook. Gotta close the door — Sky-Hook. Want to move from one side of Columbia to the other or help disgraced Pinkerton agent Booker DeWitt save Elizabeth from being recaptured by Songbird — you guessed it — Sky-Hook. 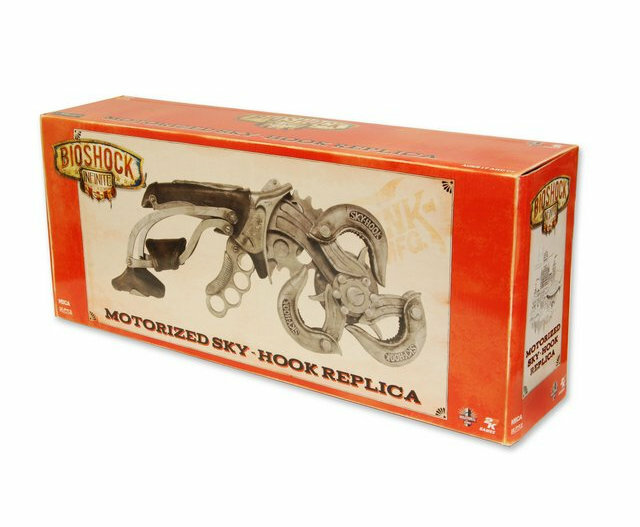 Our motorized Sky-Hook replica is a perfect representation of the one in the forthcoming BioShock Infinite from Irrational/2K Games, and it’s available now through GameStop! 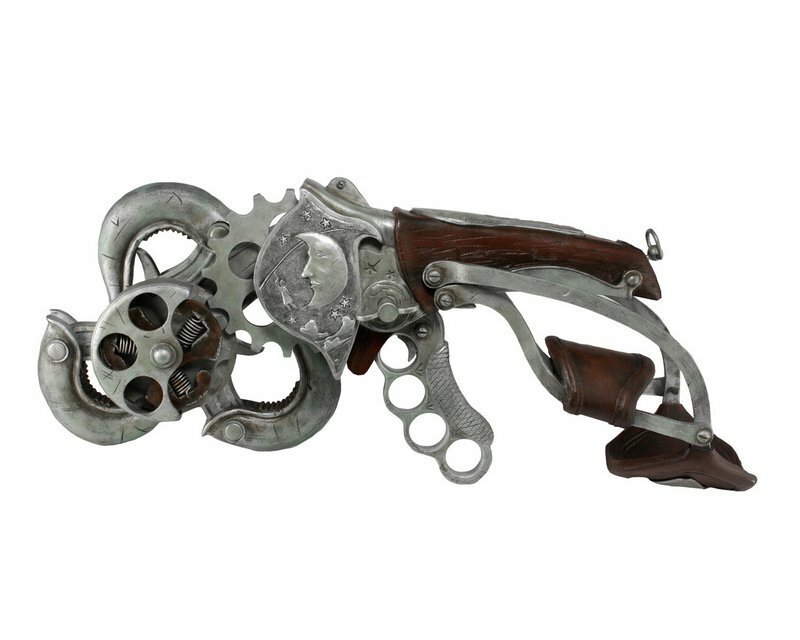 The Bioshock Infinite Sky-Hook is the main weapon and mode of transportation in the highly anticipated upcoming Bioshock game. Details include supportive arm brace and highly detailed engravings as if this replica came directly from R.J. Pickwick Manufacturing. Authentic to in game model including all the screws, woodgrain, metal and leather textures. Highly detailed and game accurate. Comes packaged in securely in full color box. It’s like something out of the old west — except, you know, also a different reality. The style and world of BioShock is like nothing else in gaming, and we can’t wait to see what the response to BioShock Infinite is when it’s released in March! GameStop has the Sky-Hook now, and we’re expecting them at the warehouse early in 2013, so they’ll be everywhere soon! …And if you’re thinking that Elizabeth looks awfully familiar, here’s why. 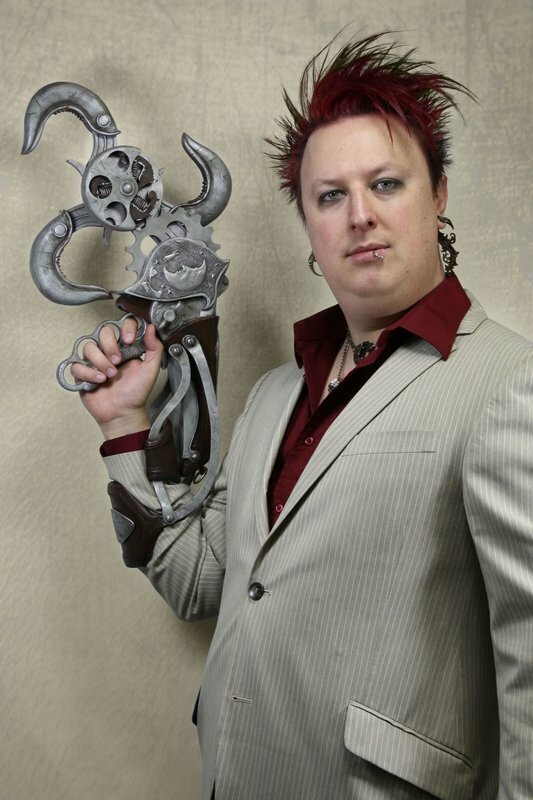 What’s the first thing you’d do if you had a real Sky-Hook??? Drop us a line on Facebook, Twitter or G+ and let us know!